In a meeting, church representatives and leaders of the indigenous Seng Khasi and other minority groups told the Congress chief that they were particularly worried about "intolerance" towards one's food habits, language and culture. Rahul Gandhi is on a two-day visit to Meghalaya to campaign for assembly elections on February 27. 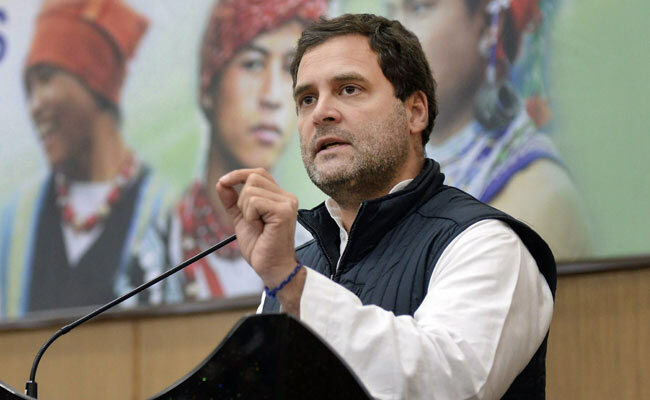 Shillong: Representatives of churches and tribal leaders in Christian-dominated Meghalaya Wednesday told Congress President Rahul Gandhi that a "deep sense of insecurity" has gripped them following reports of attacks on minority institutions across the country. Mr Gandhi is on a two-day visit to the state to campaign for the 60-member Meghalaya Assembly elections on February 27. "We expressed our concern with the kind of ideology that is being imposed, which is a danger. We have to grow together and respect everybody," Bishop Michael of the Church of North India told news agency PTI after the meeting. Unitarian Church leader Derrick P Pariat said his group had an interactive meeting with the Gandhi scion in which they "agreed to disagree" on a lot of issues. 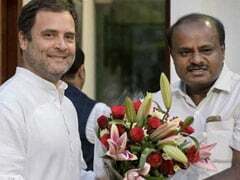 "Rahul talked about unity in diversity and that the Congress party cannot change the principle of inclusiveness in the country while safeguarding national and local interests," he said. The church leader also raised concerns about religious insecurity prevailing in the country. Presbyterian Church of India leader Rev G S Lyttan said, "We expressed our feelings of insecurity as minority religious groups in this country under the current dispensation". Following reports of sporadic attacks on churches, church workers and minorities at large across the country, he said, "We feel we need political protection in the Centre and states". According to 2011 census, Christians constitute almost 75 per cent of the three million plus population in the north eastern state. The Congress chief met a cross section of people, including those from NGOs and self help groups besides college teachers and heads of tribal institutions. He also interacted with women groups at the St Edmund's College, a senior state party unit leader said.